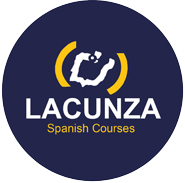 The main purpose of the website, www.lacunza.com, is to inform and provide information about the services offered by LACUNZA ESCUELA INTERNACIONAL, S.L. to our customers. The existence of files that contain personal data and the processing of said files. The employees who receive and have access to the personal data. The questions asked in regards to having mandatory or optional responses. The consequences of obtaining personal data and the refusal to provide it. The possibility of exercising rights in regards to: access, alteration, cancellation or refusal. The identity and address of the person responsible for the personal data or, when applicable, the representative of the person responsible. It is the desire of LACUNZA ESCUELA INTERNACIONAL, S.L. that the user has access to the appropriate information in order to expressly decide, freely and voluntarily, whether to provide their personal data as requested. As such the user understands that their personal data will be included in an automatic online file for which LACUNZA ESCUELA INTERNACIONAL, S.L. is responsible for. Unless stated otherwise, the personal data collected in the automatic online file is deemed necessary and mandatory in order to have access to and effectively provide the services as stated on the website. The user must complete the automatic online file with accurate, exact and complete data. Additionally, the user accepts the responding damages and prejudices which may occur as the result of providing the school with incorrect information which includes information that is untrue, inaccurate, incomplete or outdated. LACUNZA ESCUELA INTERNACIONAL, S.L. commits to adopting the levels of security and protection of personal data as required by current legislation. LACUNZA ESCUELA INTERNACIONAL, S.L. commits to installing the necessary technical and organizational measures to prevent loss, misuse, alteration, unauthorized access and any other possible risks associate with personal data. LACUNZA ESCUELA INTERNACIONAL, S.L. agrees to comply with the obligation of secrecy in regards to the personal data contained in the automatic online files as per the current legislation. The user, or the person representing the user, may at any time, exercise the right of access, alteration, cancellation, and where appropriate, opposition, in accordance with the Organic Law on Data Protection (Ley Orgánica de Protección de Datos) and other regulations pertaining to personal data to the person responsible for security. The user’s name and ID number must be stated. Via written request: CAMINO DE MUNDAIZ, Nº 8 – ENTLO. D 20012 SAN SEBASTIÁN–GIPUZKOA or Via email CONTABILIDAD@LACUNZA.COM The primary concern of LACUNZA ESCUELA INTERNACIONAL, S.L. is the safe storage of the user’s personal data. The school uses great care when transmitting the personal data from the user's computer to the school’s server. Only employees who require access to user’s personal data in order to complete their job have access to the personal data collected. You, the user, have accessed the medium and communication channel, or any of its sections, via a domain which is owned by LACUNZA ESCUELA INTERNACIONAL, S.L. LACUNZA ESCUELA INTERNACIONAL, S.L. aims to provide information that, as per the applicable regulations, must be accessible and comply to the conditions governing the use and navigation of different content reproduced and available, either owned or by third parties, that is accessible via the Internet, Social Media, mobile applications or other devices that enable access, reproduction, image or graphic display or any other form derived from these, including those which require registration. Additionally, LACUNZA ESCUELA INTERNACIONAL, S.L. coheres to the banning and the associated responsibilities which may arise from the misuse of reproduced content including but not restricted to text, graphics, drawings, designs, photographs, software, codes, videos, music, databases, images, information as well as any other concept that is liable to protection. In different sections of the website the means of communication and / or contact may be listed differently. This includes in particular email addresses and links to contact forms, which enable direct contact or confirmation about information, suggestions, clarifications and any other circumstances. We sometimes feature video embedded from sources such as Vimeo or YouTube and content embedded from Facebook or Google Maps. When these videos are watched or the content viewed these companies might create a cookie to gather some information about your site usage. You can manage your browser cookie settings to accept or reject all cookies, or individually by website, in the help function of most browsers. This includes browser add-ons such as Flash Cookies. You can set your browser to prompt you when a website would like to store a cookie on your computer. All browsers' settings are different and we would recommend you use the help option in your browser menu to check your settings.